All Ferris homes currently listed for sale in Ferris as of 04/24/2019 are shown below. You can change the search criteria at any time by pressing the 'Change Search' button below. If you have any questions or you would like more information about any Ferris homes for sale or other Ferris real estate, please contact us and one of our knowledgeable Ferris REALTORS® would be pleased to assist you. "The Refined & Polished -Helm Ranch- boasts spacious features inside and out! 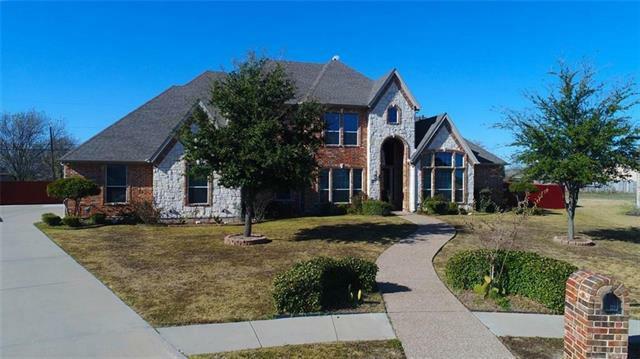 The interior spares no expense, 4 beds, 6 baths inviting your presence w. HUGE vaulted stained wood ceilings, wood beams & floor to ceiling stone & brick fireplace, custom wood work & iron work trim out this Ellis County Masterpiece. 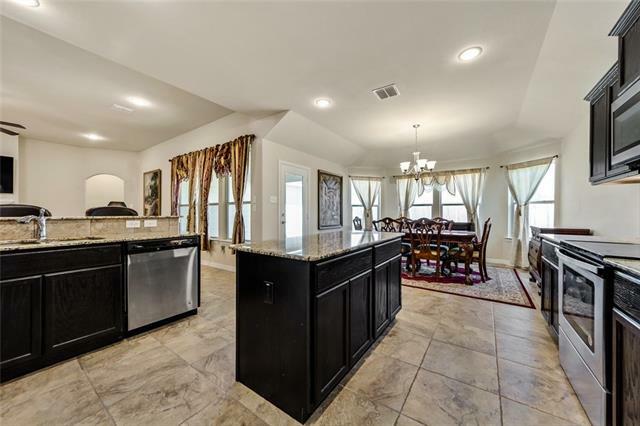 Oversized everything, from the living area suitable for family or large gatherings.Downstairs offers a master bedroom w. ensuite bath, whirlpool tub & walk-in shower.Large kitchen w. oversi"
"This property has over 500 ft of I-45 road frontage on 2 way service road. 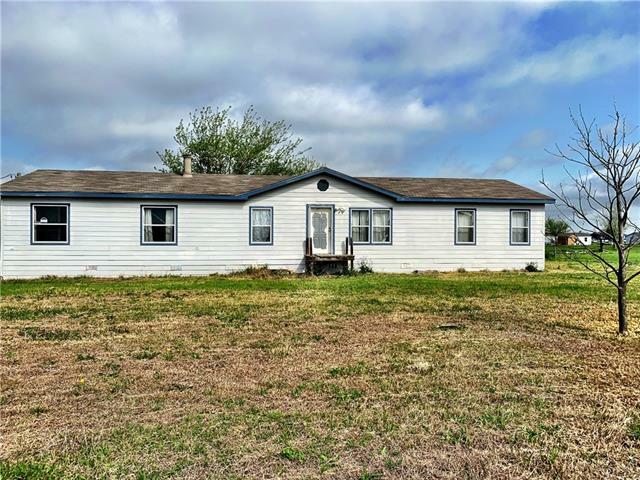 Bring your horses your cattle herd and anything else you have to this property. The main house has 4 beds 3 full baths outside entertaining with pool outdoor cooking and top sundeck totally lit up at night. This is a full farm and ranching facility with many barns and horse stalls, rotating saddle rack to easily saddle your horses. Hay barn, covered RV-Horse trailer Port open on 3 sides. Pipe fencing and corrals. 40-80 b"
"The property 13.25+- acres of rolling terrain. The property also includes an Older home, 3040 Newton Rd, that needs some work but will make good home for help or rental. Homes are located in large pecans trees. This tract is about one half of the property. The additional 14.5+- acres is available if interested. There is a new 24'X30' shop and a 30'X40' shed with concrete floor. Water meter for each home. Beautiful setting in the trees." "JUST REDUCED! Big Time! MOTIVATED SELLER! Location! Privacy! 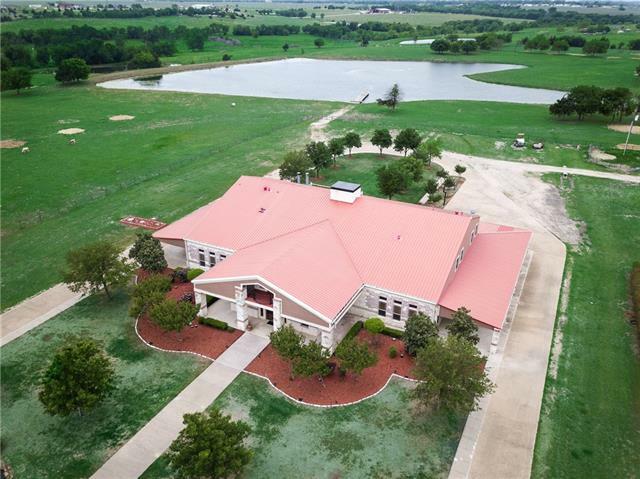 Only 25 minutes south of Downtown Dallas; 25 acres with barns, tanks, hay fields, fenced and cross fenced; Impressive Pipe Fenced Entrance with tree lined approach, Three-car carport and large Pavillion. Many trees, hardwoods, fruit and nut trees, and gardens. A separate septic system, electricity and additional water utilities in front. If you love the outdoors, this is a perfect place for you. 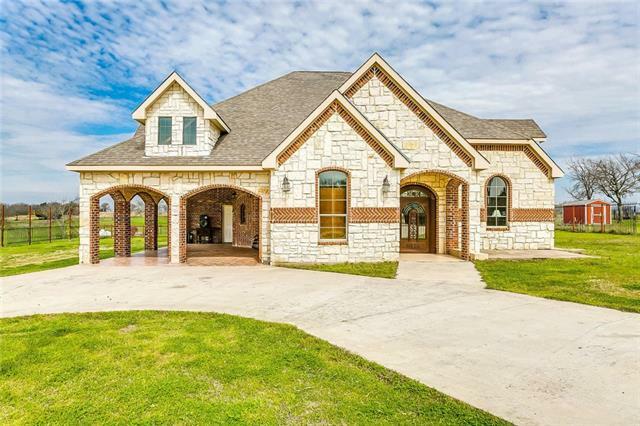 It is a horse lovers dream!bring the cow"
"Beautiful custom home on a little less than half acre. Open floor plan that is great for entertaining. This home has very tall ceilings and wall of windows with a beautiful fireplace. Study has French doors for privacy, formal living, formal dining, large eat in kitchen with granite and stainless steel appliances and a Island gas cook top. Mud room, Laundry room with sink and counter tops, it even has room for a freezer. Upstairs game room with wet bar and it's own refrigerator. 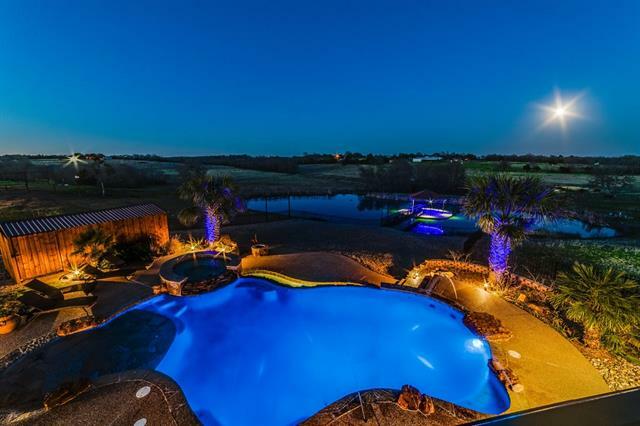 All bedrooms ha"
"Beautiful custom home sits on 5.17 acres. The tranquility of country living at it's finest! 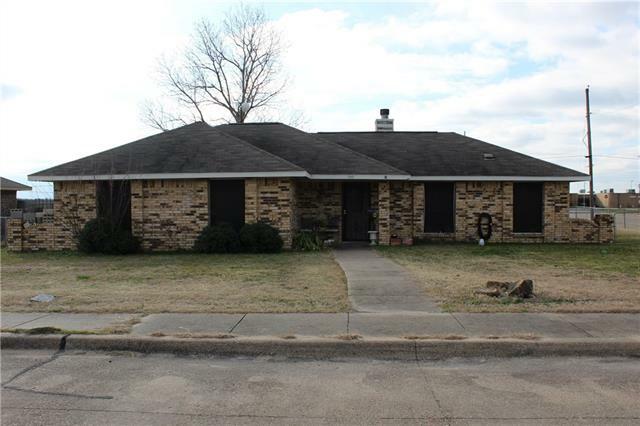 This property offers 4 bedroom and 3 full baths. The spacious kitchen offers beautiful wood cabinets, granite counters, all stainless steel appliance, double wall ovens and gas cook-top for the chef of the kitchen! Home has lots of upgrades! Plenty of space to entertain family and friends!" "Wonderful 2-story plan!New construction move in ready in nice established neighborhood.Over 2700 sq.ft. incl. gameroom upstairs with 3 bedrooms&2 baths.Downstairs has living area with WBFP,open to kitchen with granite countertops&stainless appliances.Master suite is downstairs with bath with 2 sinks, garden tub and separate shower. Back patio is covered with large sodded & fenced yard. BUILDER TO SUPPLY REFRIGERATOR OR WASH & DRYER WITH FULL PRICE OFFER! Welcome home! LEASE WITH RIGHT TO PURCHA"
"New construction bricking now in nice established neighborhood. Over 2500 sq.ft. incl. formal dining & study. Living area with WBFP,open to island kitchen with granite countertops & stainless appliances, including oven, microwave, cooktop & dishwasher. Master suite bath has 2 sinks, garden tub, separate shower & huge 8X8 closet. Large back patio is covered with large sodded & fenced yard. Sprinklers in front & back yards with landscaped front. Brick is going up now so will be ready before you k"
"Come see this affordable one story 4 bedroom 2 bathroom home and it can be yours quick!! You'll definitely enjoy the space it offers, high ceilings, kit and breakfast connect well, large island with storage,must have WI pantry and love the separate laundry room with private entrance to your garage with an opener. LA accommodates furniture perfectly and you'll have a never used decorative FP! Sit outside under a covered patio, plenty of room for plants, play space or your grill !Why wait to buil"
"Beautiful new home under construction on large corner lot with NO HOA! 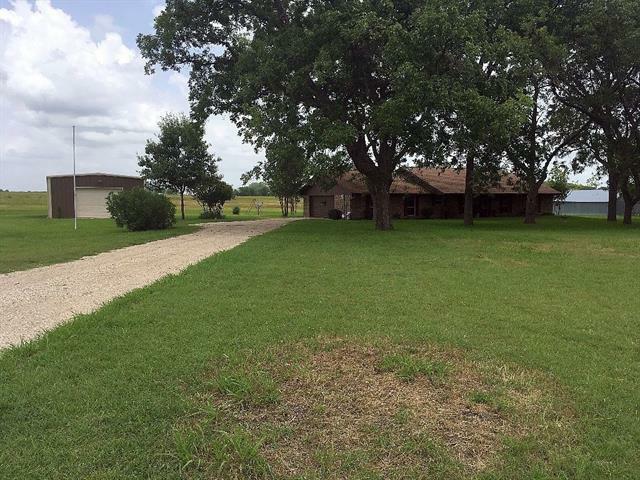 Country living, 3 bed, 2 baths with a Flagstone and brick exterior. 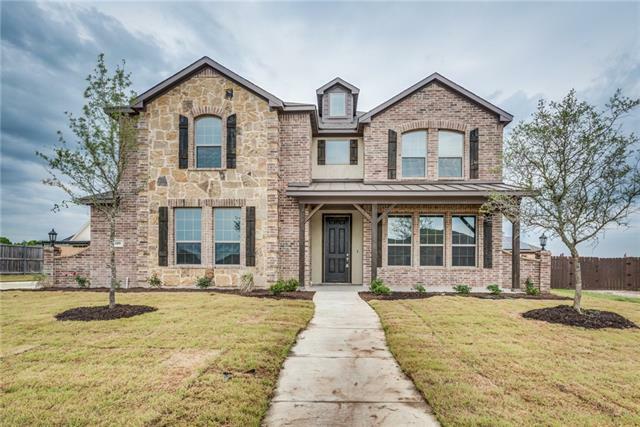 Inside brings you granite counters throughout, exquisite master bath with HUGE custom closet, Energy Star stainless steel appliances, tankless water heater, 16 seer variable speed AC, foam envelope insulation and so much more! Enjoy the peace and quiet and all the conveniences of the city. 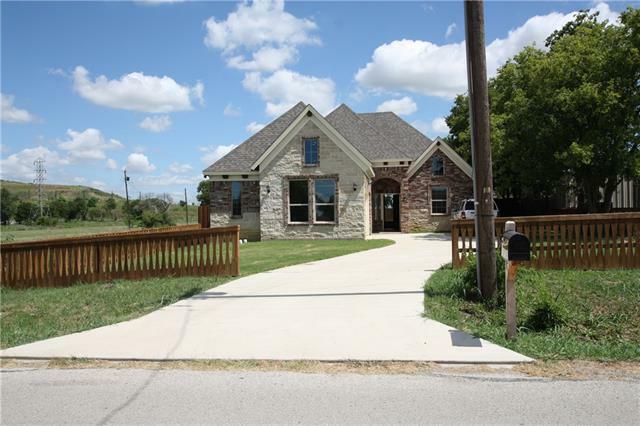 Easy access to I-45 and only 26 minutes from downtown Dallas makes you"
"BEAUTIFUL HOUSE, BRAND NEW. 3 Bedroom, 2 bath, 2 car garage, split bedrooms, open concept, granite counter tops and back splash in kitchen and with his and her sinks in bathrooms with tub and separate shower, great floor plan, fire place, vaulted ceilings, huge back yard with six foot privacy fence." 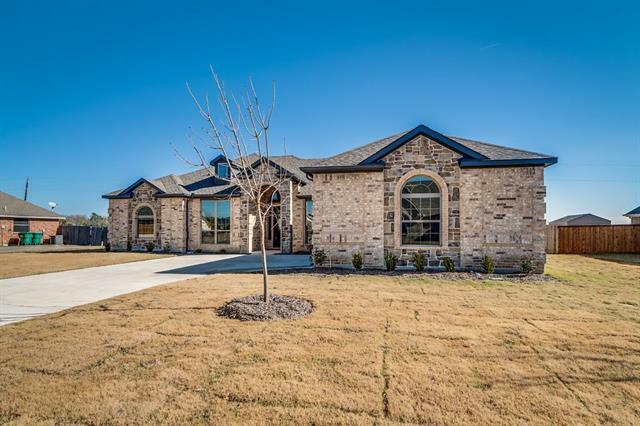 "Gorgeous 4 bedroom, 2 bath home with an open living area in Shaw Creek Ranch in Ferris, TX. Beautifully designed home perfect for entertaining. Home has fresh paint and is move-in ready. Open concept kitchen with great counter & cabinet space. The living room greets you with its vaulted ceilings giving you the feeling of comfort. Just 5 minutes off of I-45 and only a 20-minute commute to Dallas this home is in a great location. Come take your tour today!" "3bedroom 2 bath 2 car garage with workbench. updated kitchen, updated bathrooms, covered patio, good neighborhood, in walking distance to 2 schools. 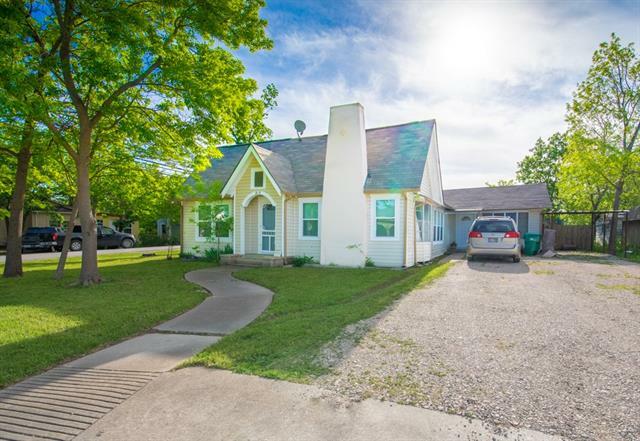 25 minute commute to downtown Dallas"
"Beautiful nicely maintained Corner lot home, good starter home for first time home buyers! Near by an elementary, junior high AND high school---just minutes away! (FERRIS ISD) Good stable neighborhood. 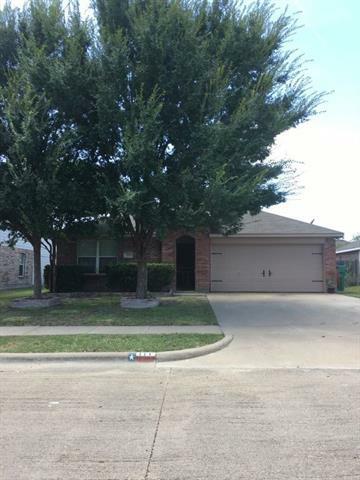 Recent paint, tile and laminate flooring in bedrooms 3 bedrooms, 2 full baths, rear entry gararge (2 spaces) Sellers are also offering $5,000 towards closing costs"
"GREAT LOCATION OFF FM 664 HAS LOTS OF POTENTIAL. COMFORTABLE SPACIOUS OPEN CONCEPT HOME. PLUS HAS COMPLETE SEPERATE LIVING QUARTERS . FOR POSSIBLE MOTHER IN LAW AREA." "Airy and quaint 3 bedroom, 2 bath home located on a spacious large corner lot, spacious backyard for entertainment, electric automatic gates with remote opener. Home of the Ferris Yellowjackets, just blocks from downtown Ferris, great schools, and friendly neighbors make this the perfect home for a family or roommates." 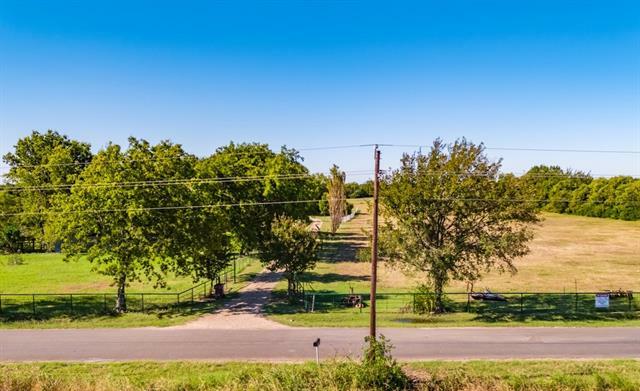 "GREAT LOCATION OFF FM 780 HAS LOTS OF POTENTIAL. 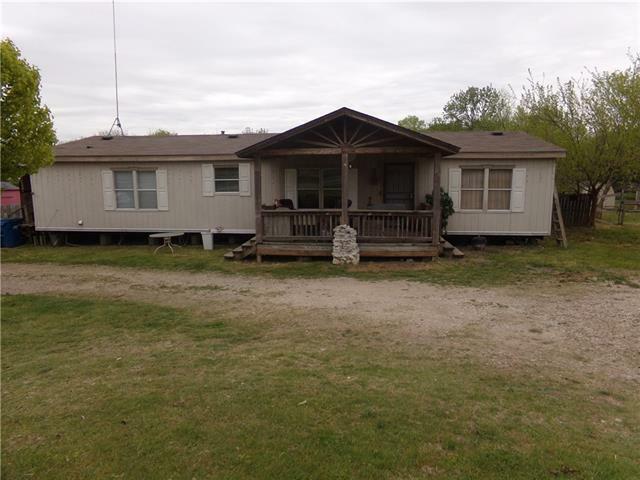 Sits on nearly an acre lot with 3 storage sheds in the back. 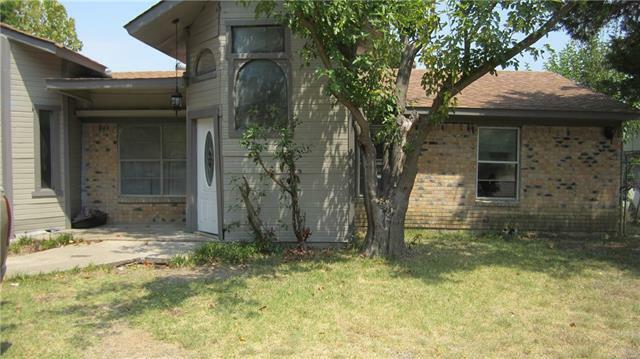 Very spacious open floor plan, make this house your home today!" "3 Bedroom 1 Bath close to schools. Great for Investment property. Need some work. Owner would consider owner financing with 60K down. All information in this listing to be verified by Buyer Agent."